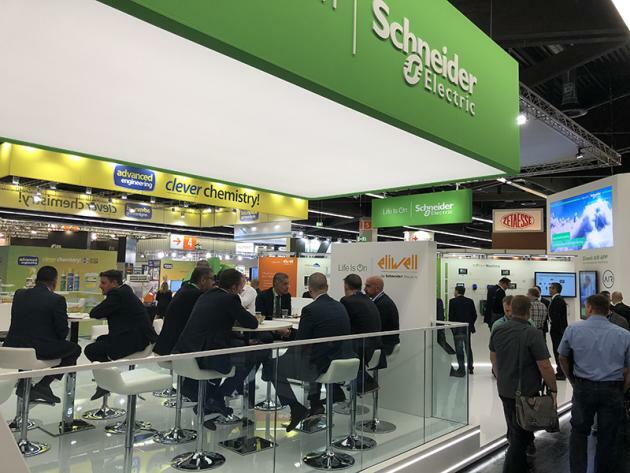 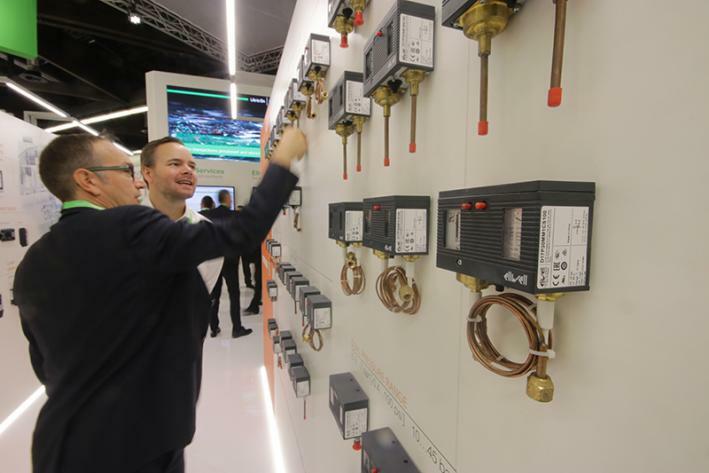 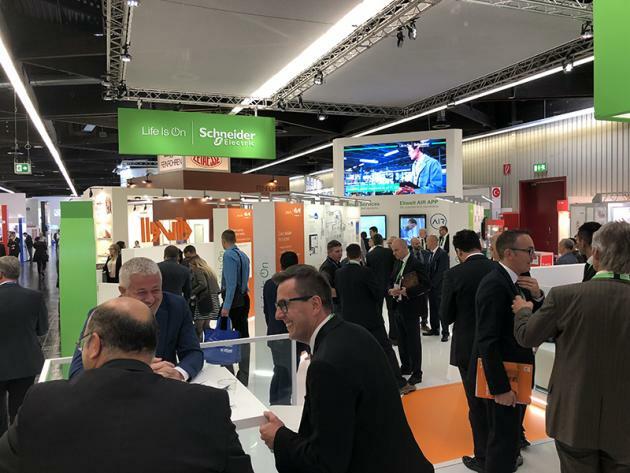 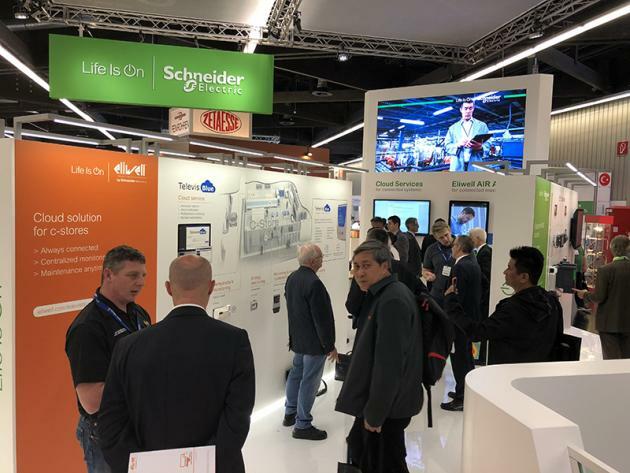 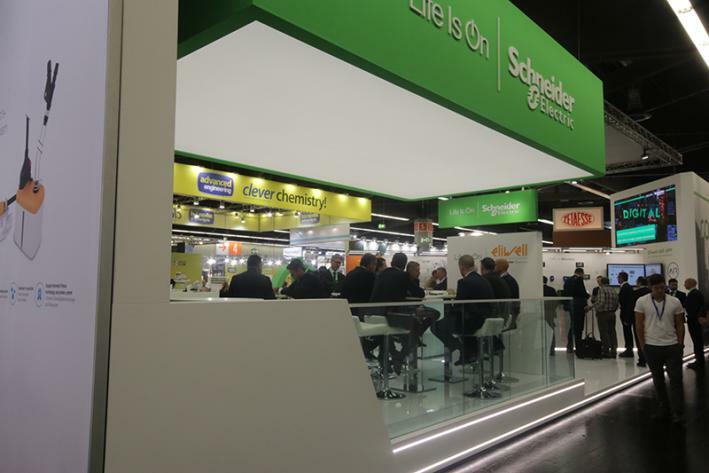 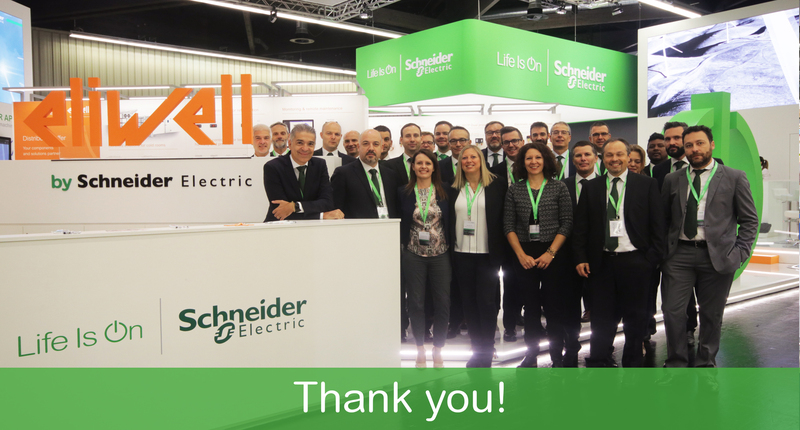 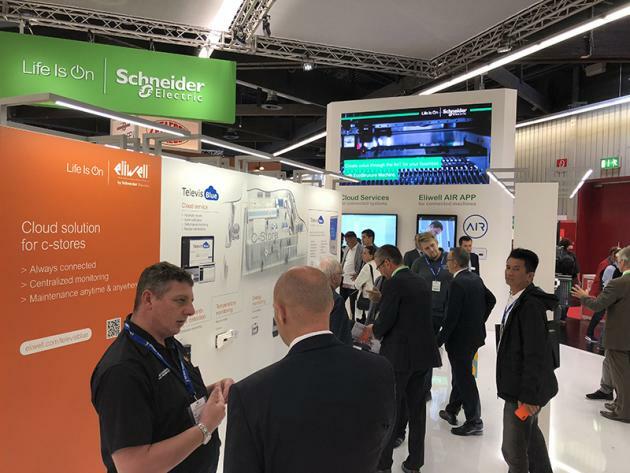 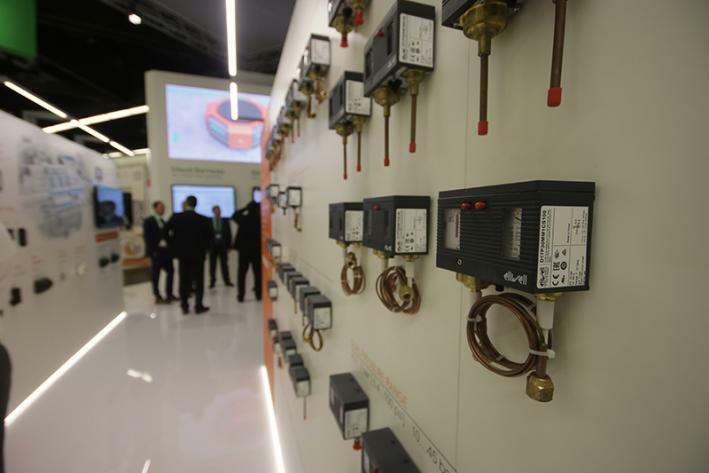 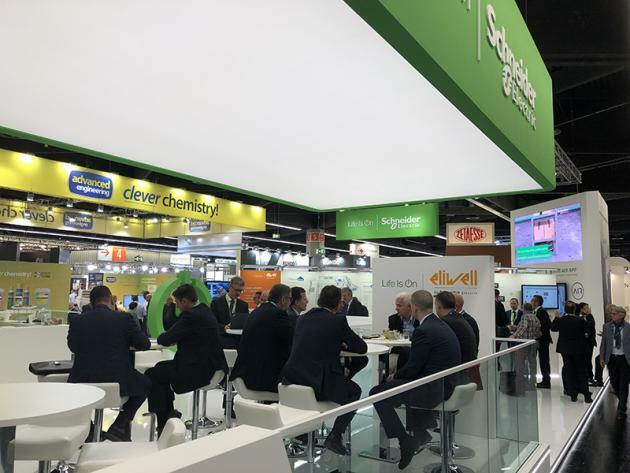 Resounding success for the 10th edition of Chillventa (Nuremberg, Germany, October 16-18): over 1000 exhibitors and more than 35,000 visitors attended this international event dedicated to Refrigeration and HVAC. 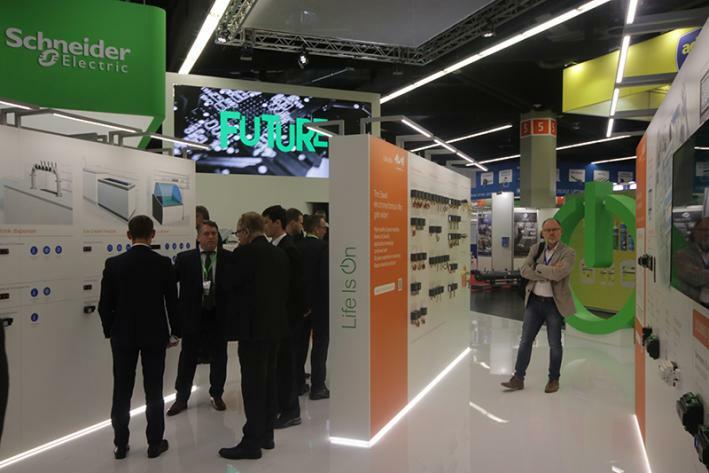 Solutions and services for the Retail market. 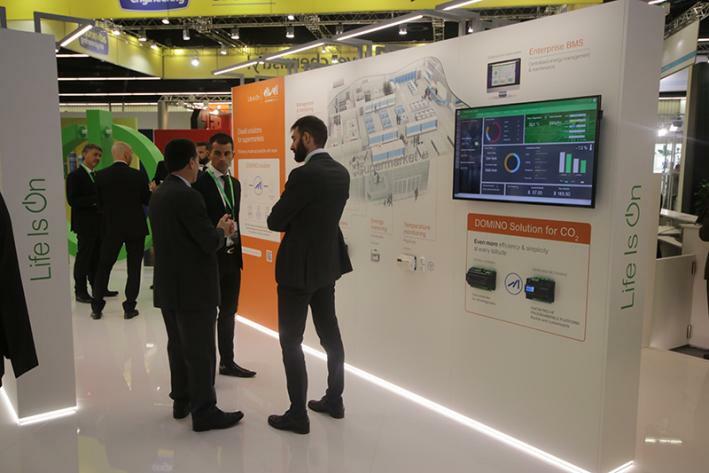 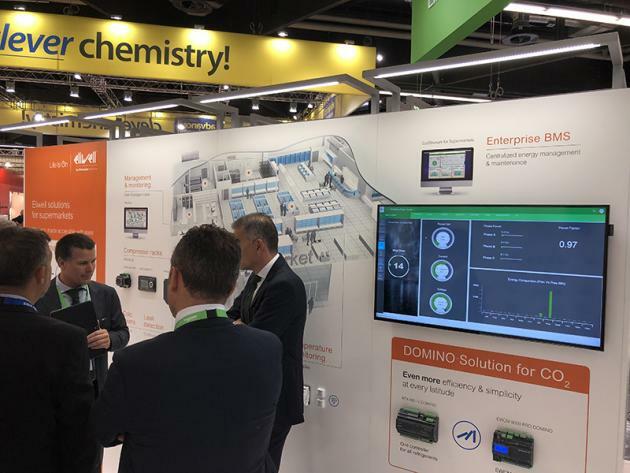 The DOMINO solution for CO2, efficient and sustainable, designed especially for natural refrigerants, which simplify the work of installers, System Integrators and end users: from the small shop to the big supermarket chain. 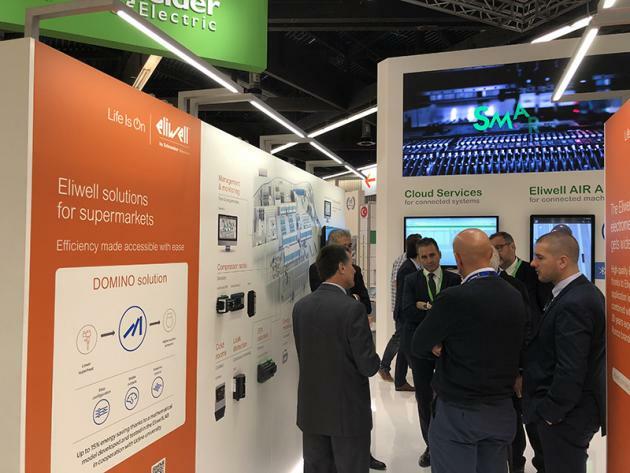 The Schneider Electric EcoStruxure for Supermarkets solution completes the Eliwell offer, integrating HVAC, Refrigeration, lighting and more: that’s how Schneider Electric and Eliwell are able to provide the widest and most complete solution now available on the market for an efficient management of supermarkets. 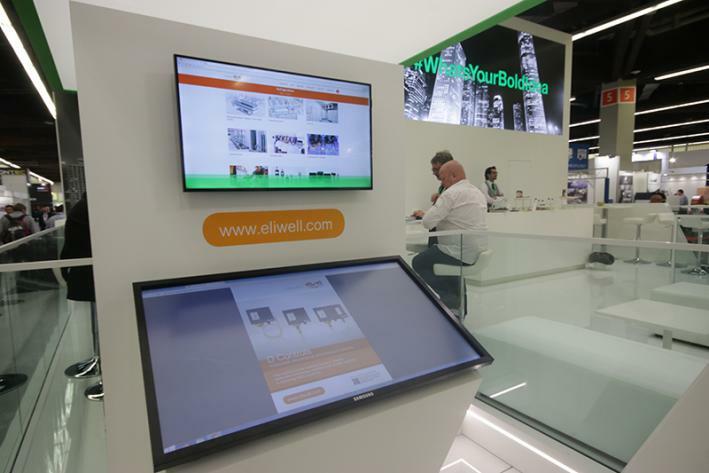 The TelevisAir solution with the new Eliwell AIR APP for connected plug-in cabinets. 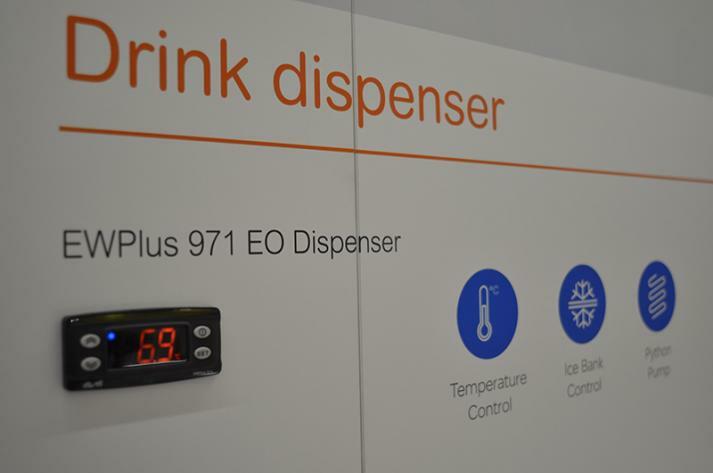 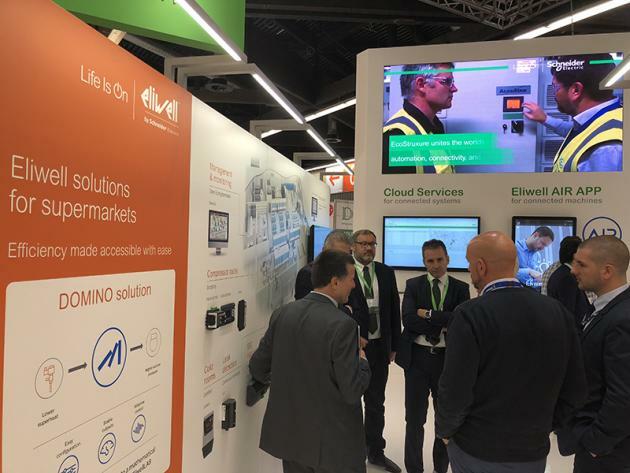 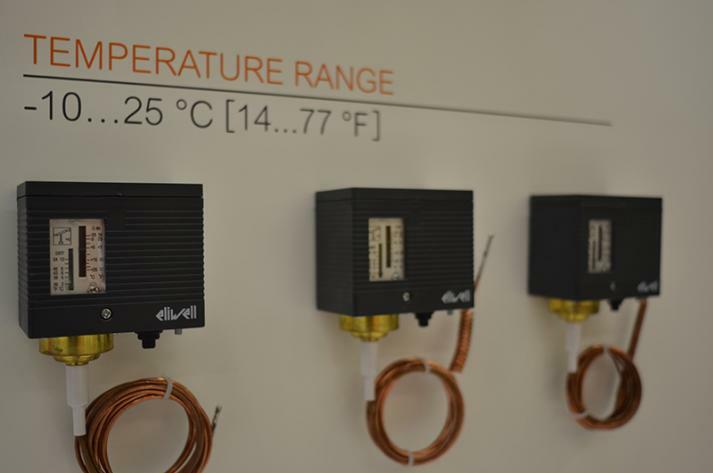 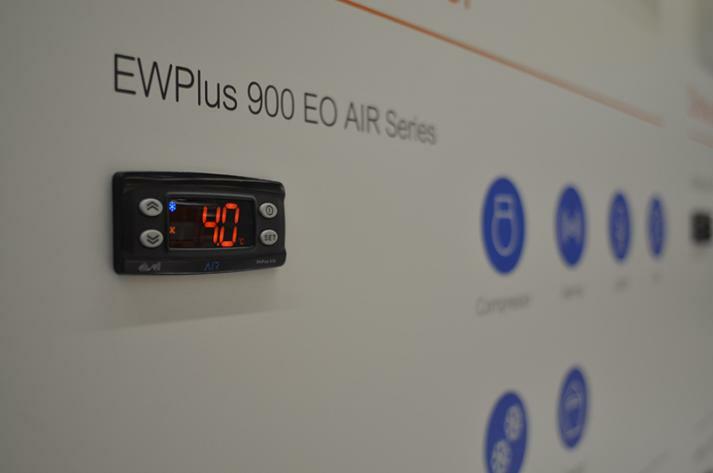 The new EliwellAIR APP, combined with RB 200 AIR and EWPlus EO AIR, designed for connected refrigerated cabinets, allows easy access to cloud services via smartphone or tablet. 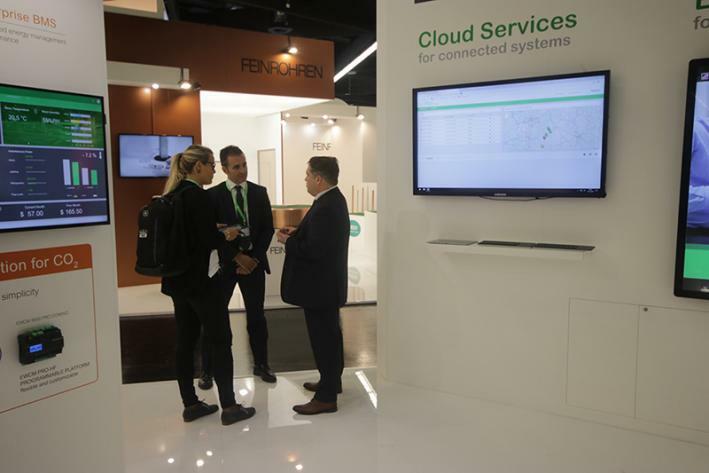 The TelevisAir cloud service was also presented at our booth. 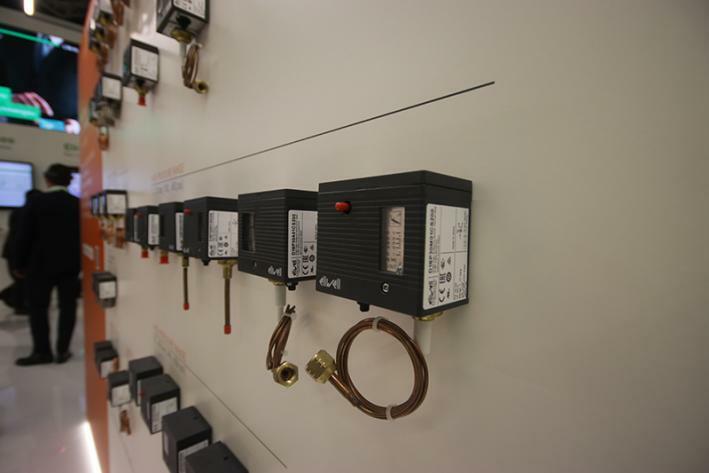 New D Controls. 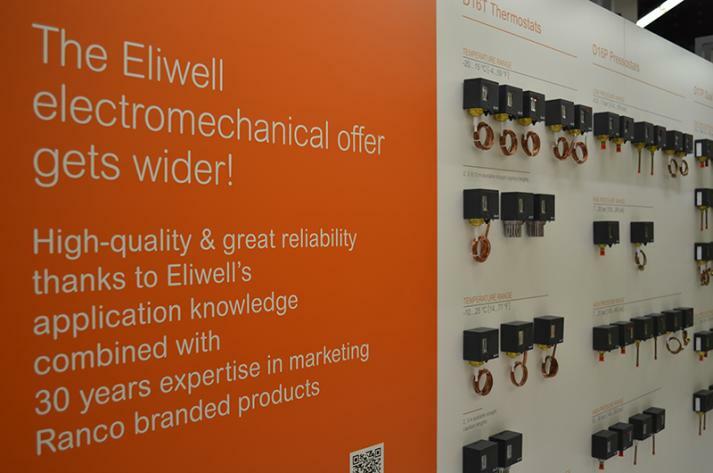 Great interest for the new Eliwell branded temperature and pressure controllers. 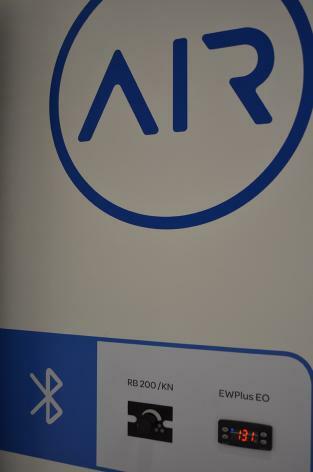 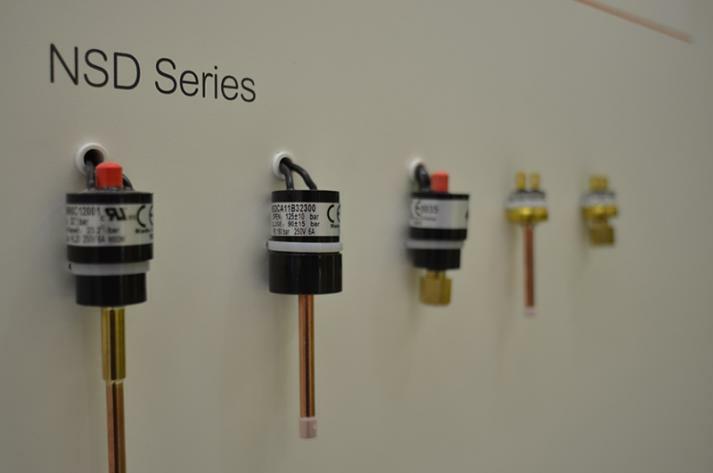 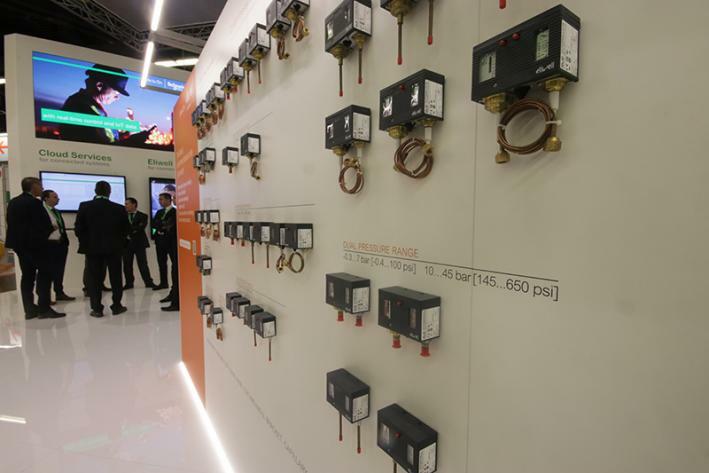 The range is completed by the PXV and SXV electronic valves, the NSD mini pressure-switches and the RV reversing valves, compatible with a wide range of natural refrigerants. 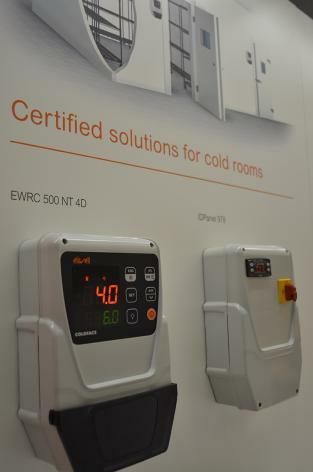 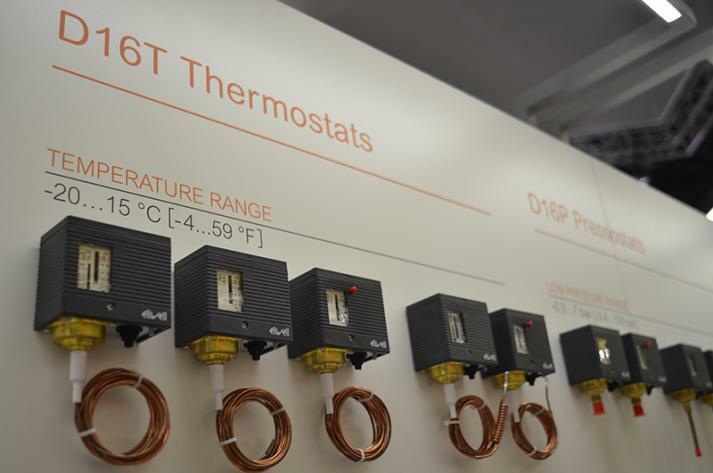 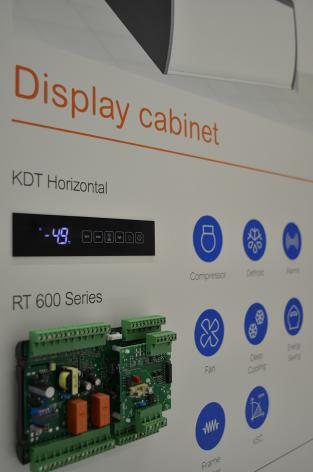 Wider range of programmable solutions for HVAC. 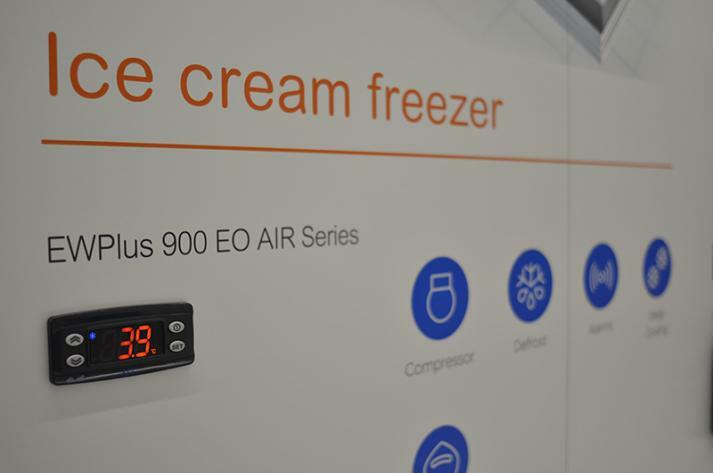 This range was especially appreciated by OEMs in the HVAC for its great flexibility and efficiency. 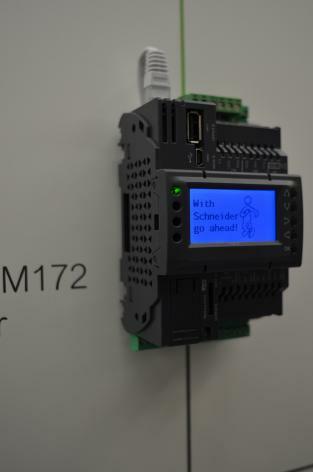 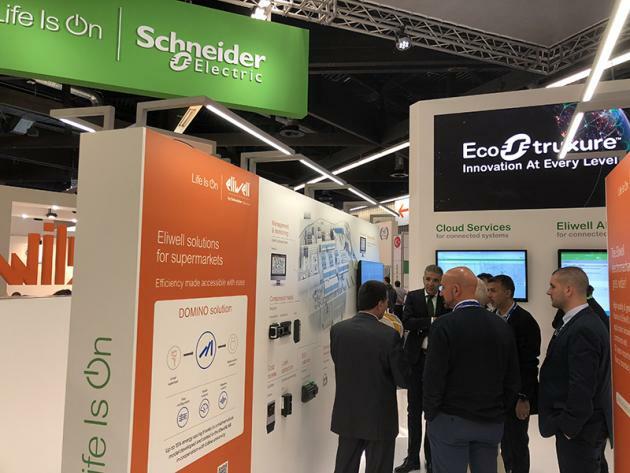 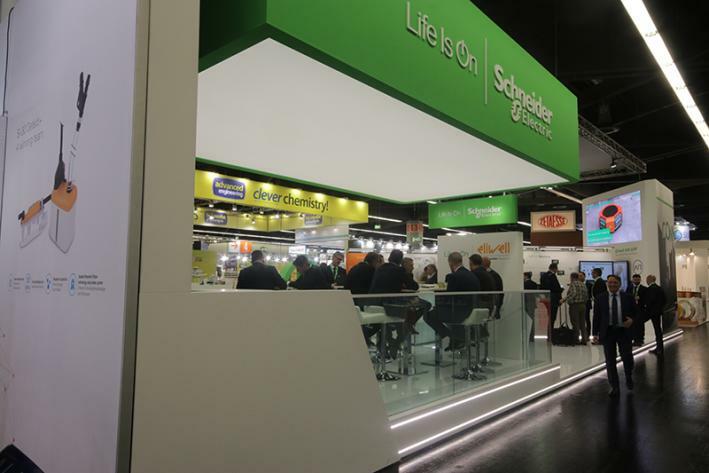 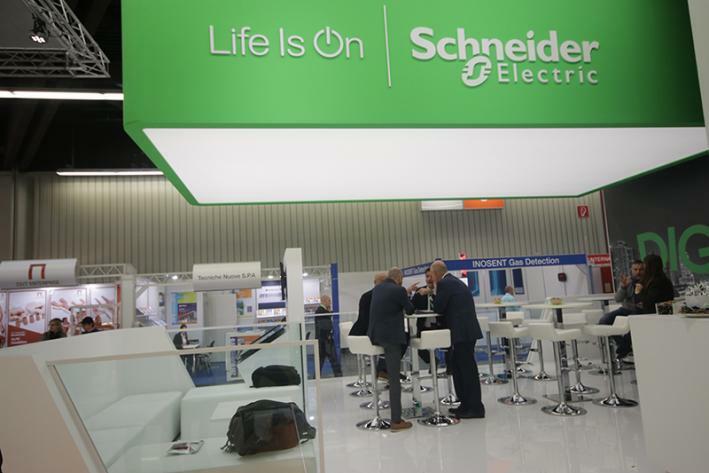 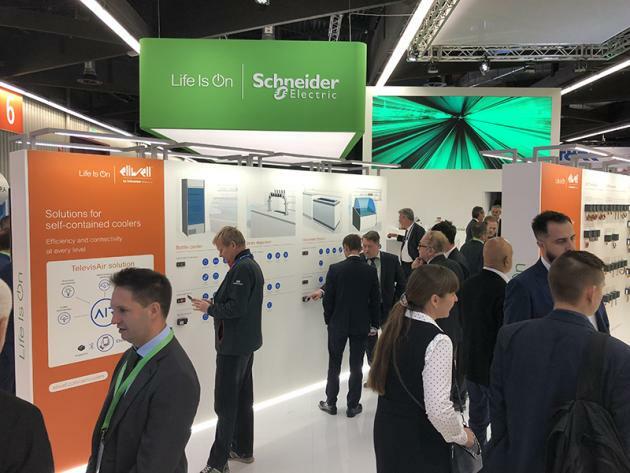 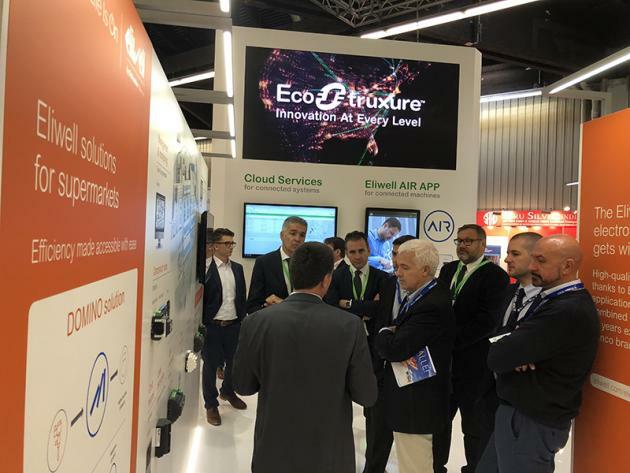 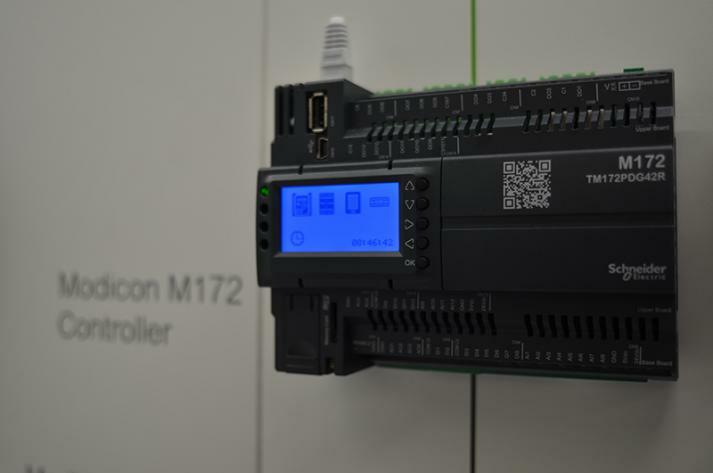 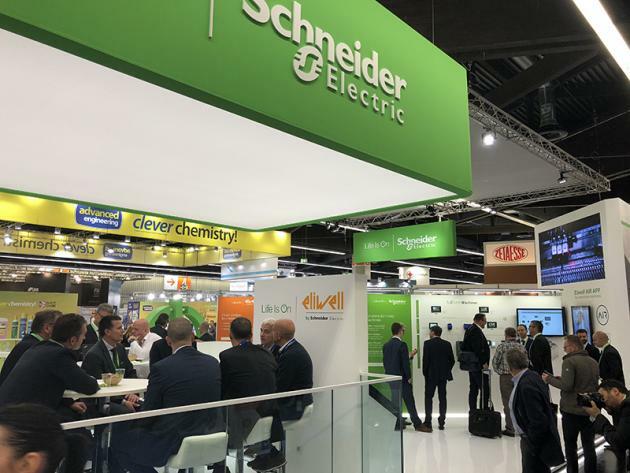 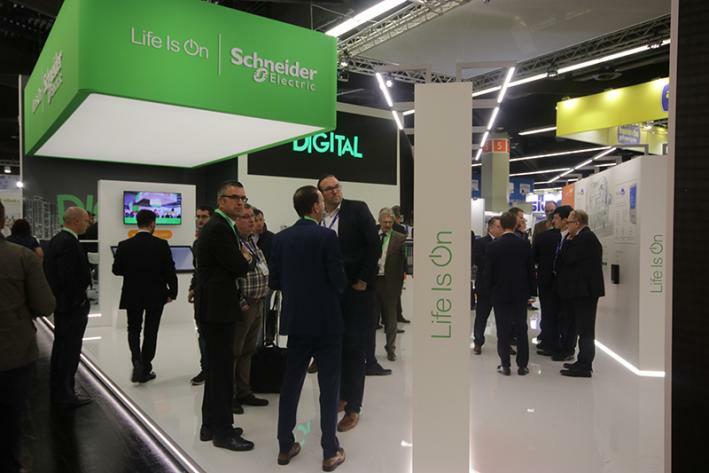 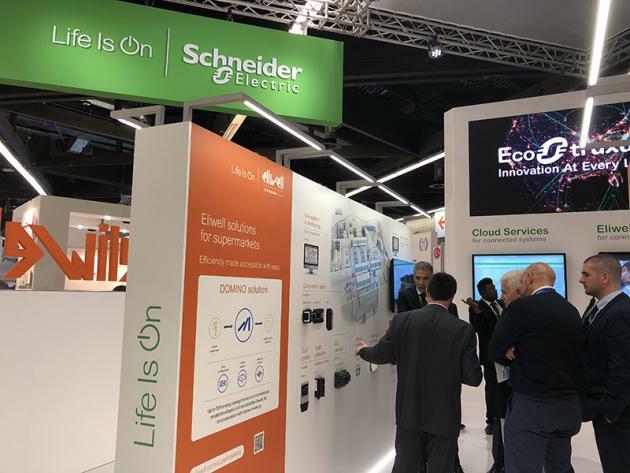 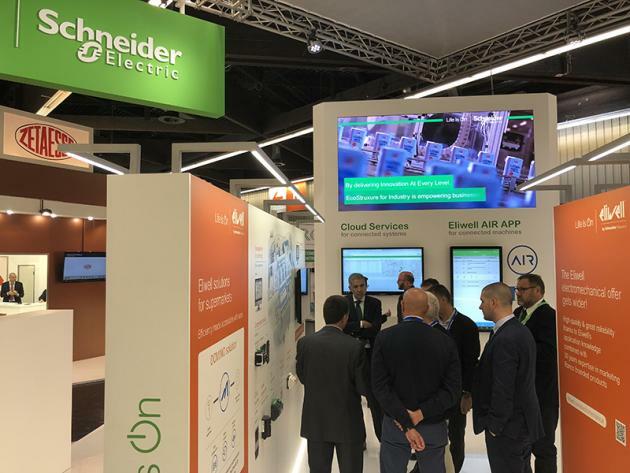 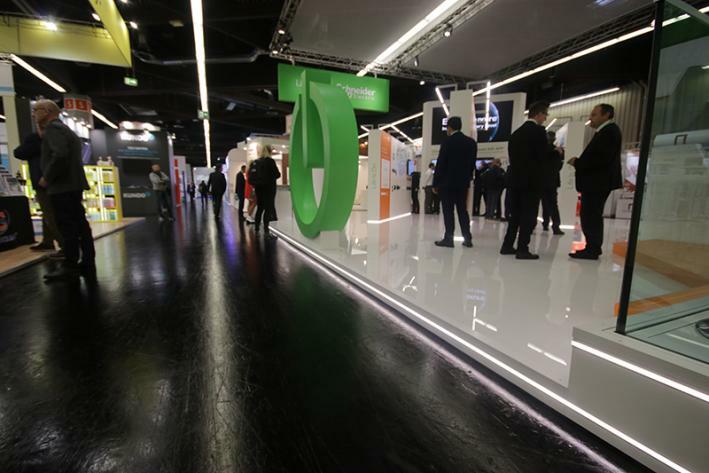 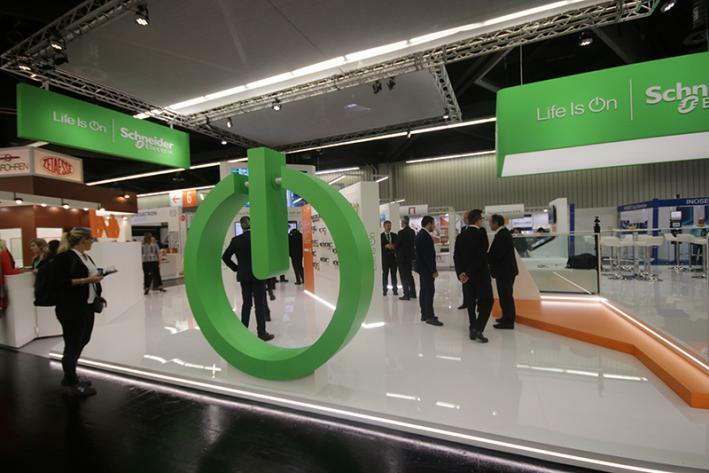 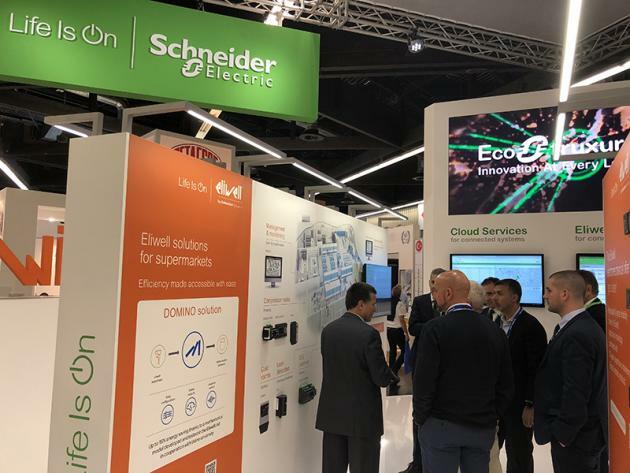 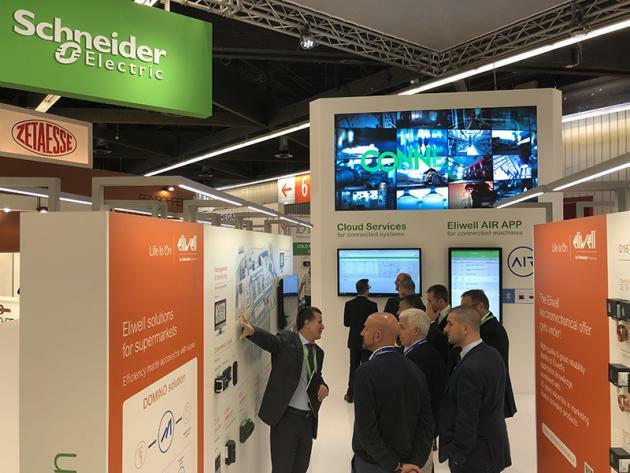 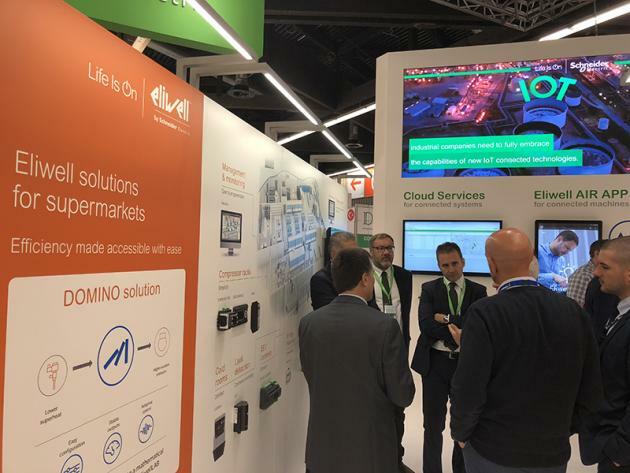 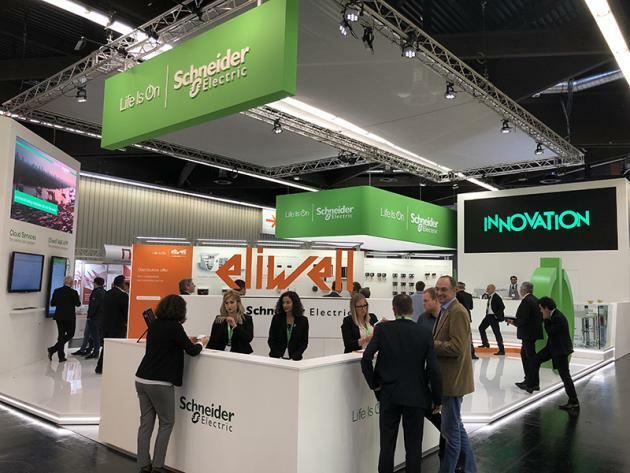 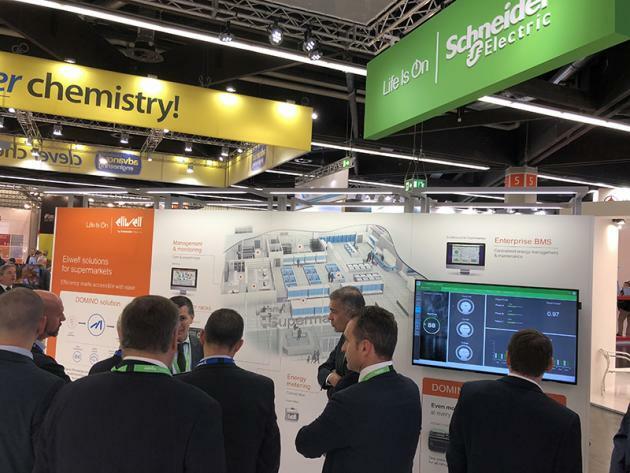 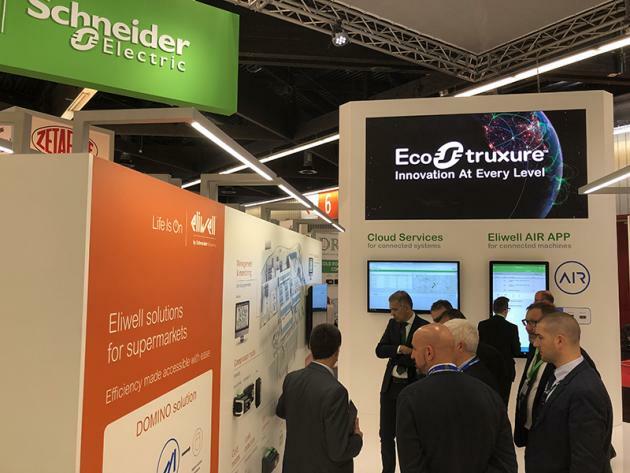 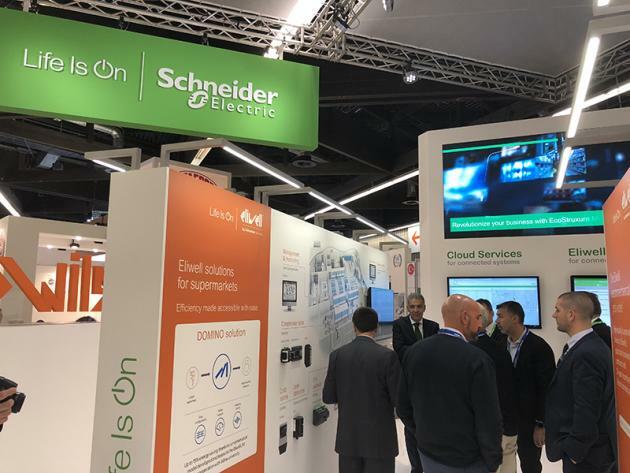 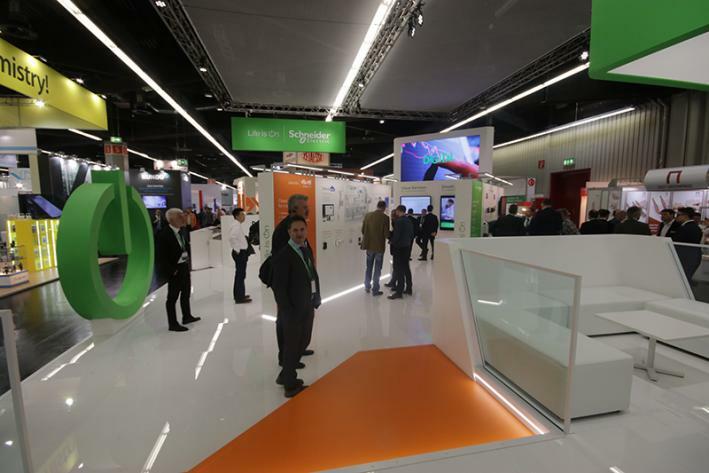 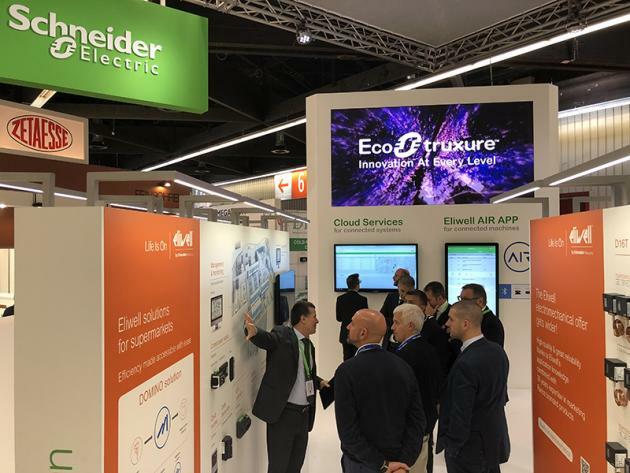 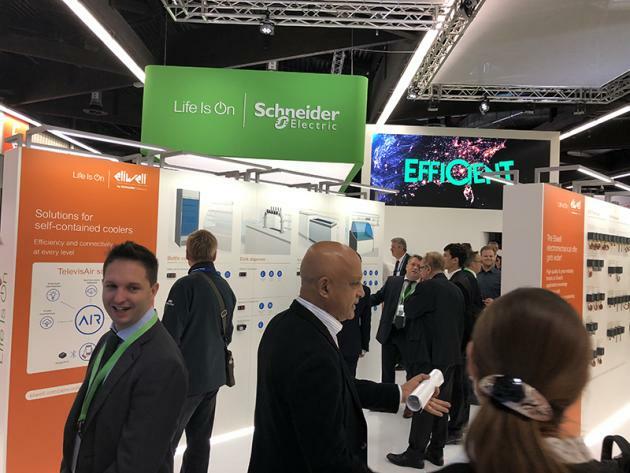 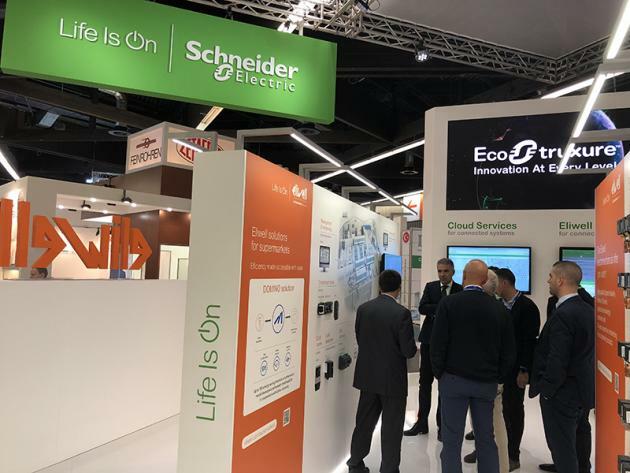 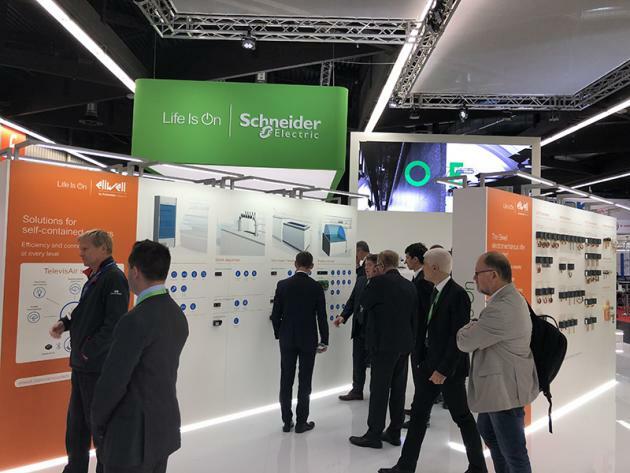 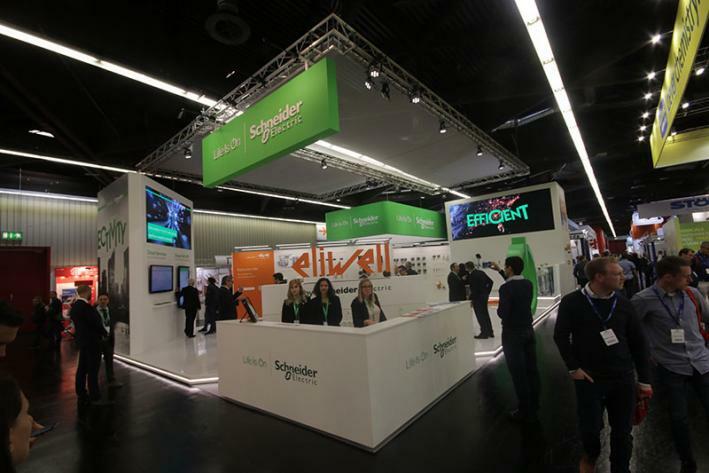 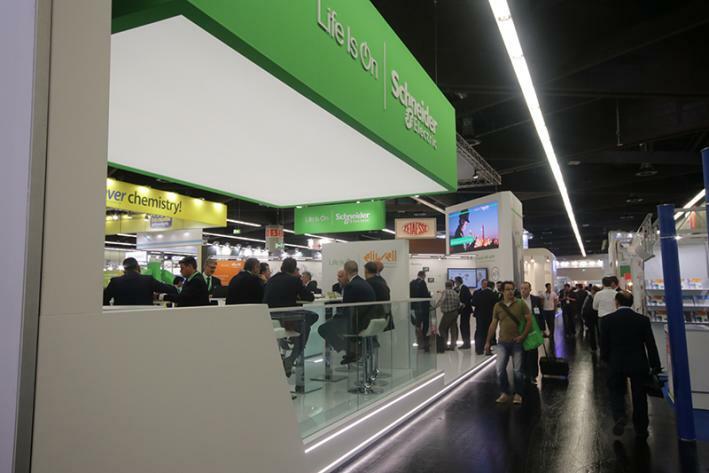 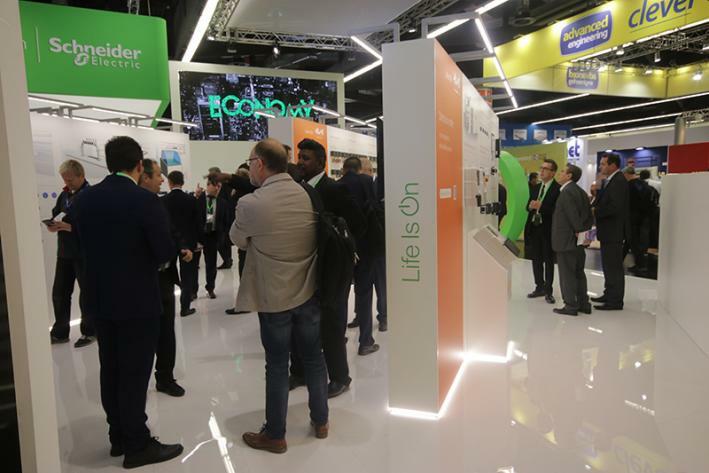 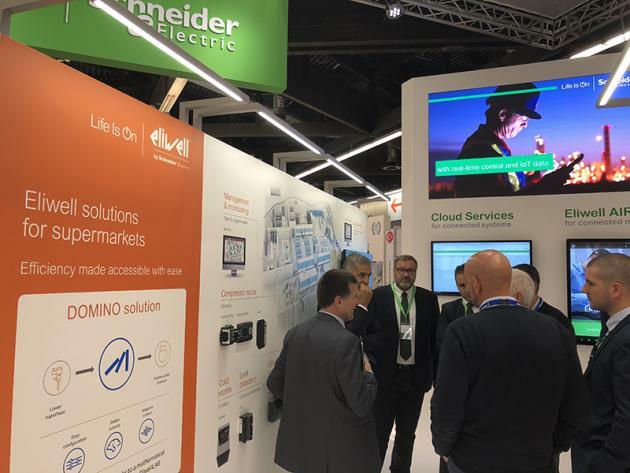 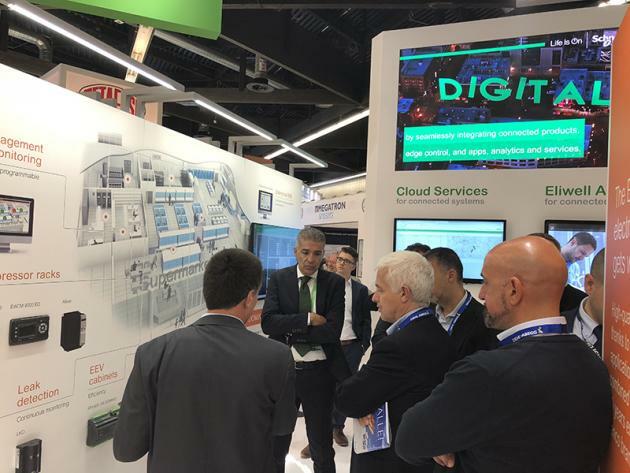 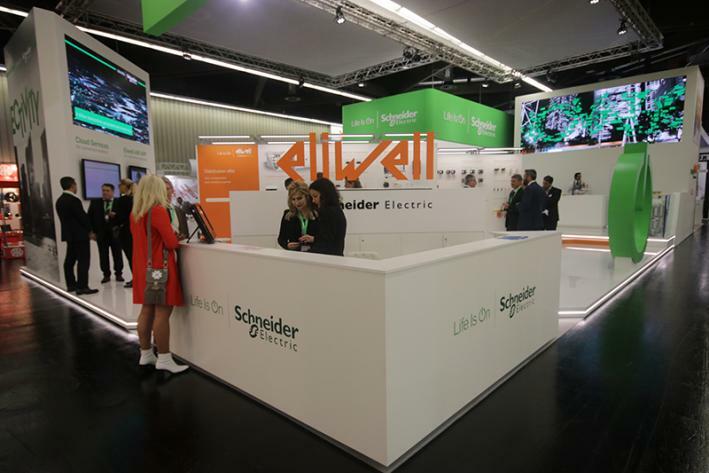 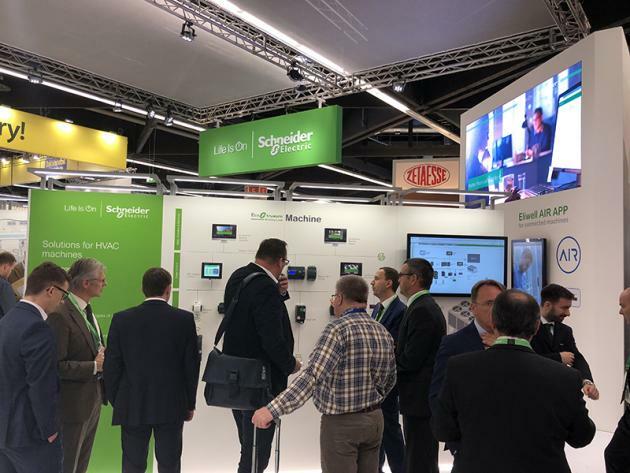 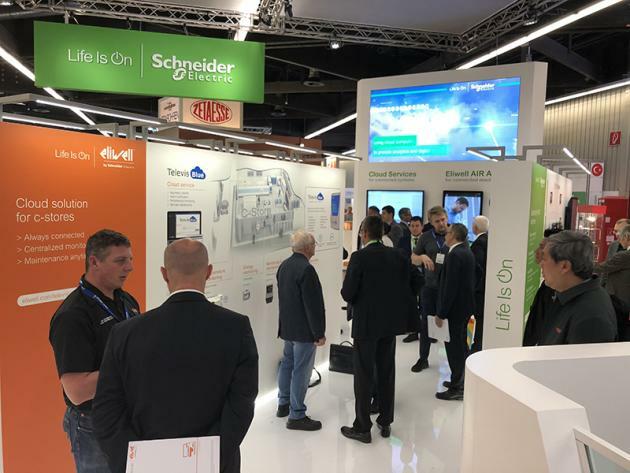 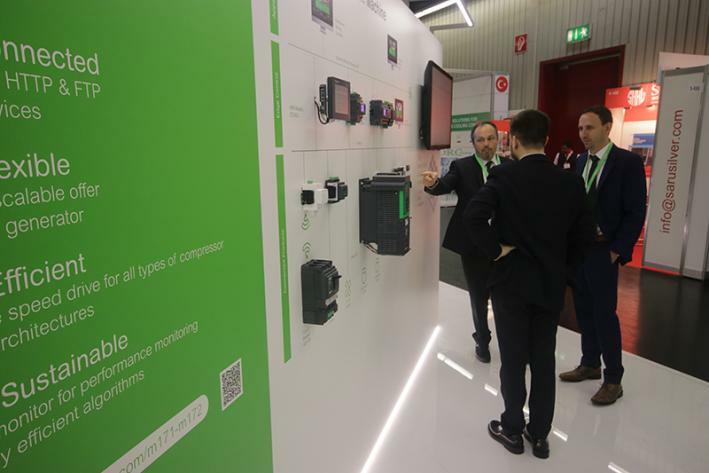 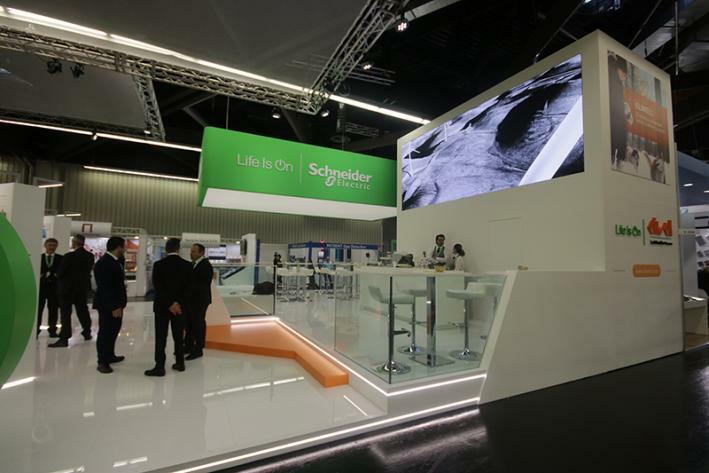 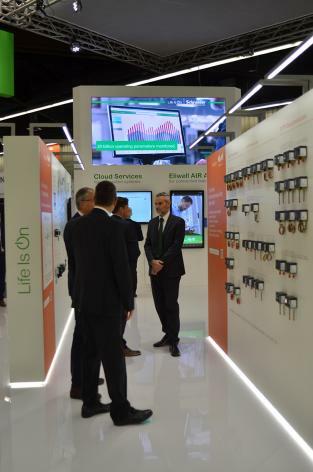 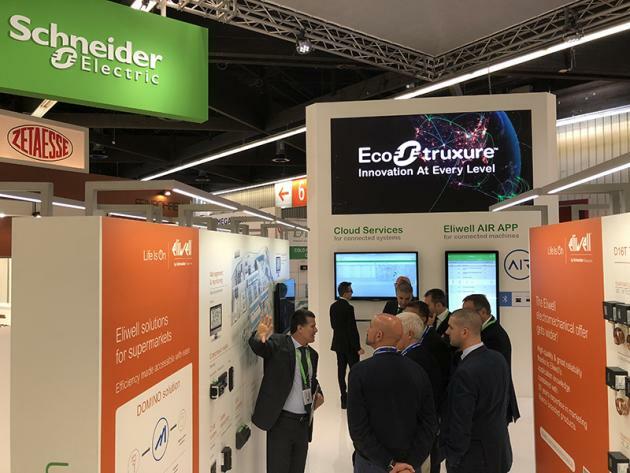 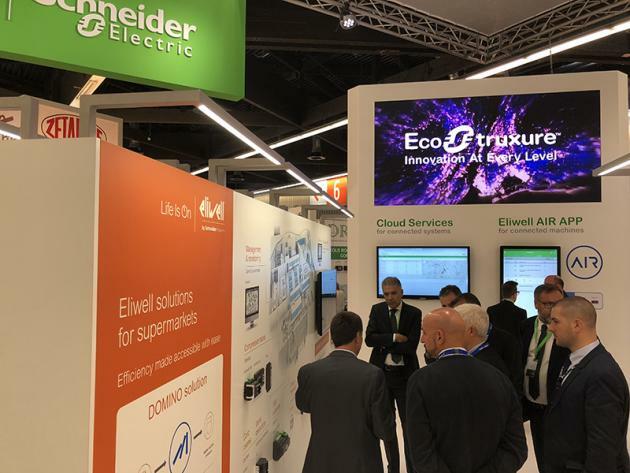 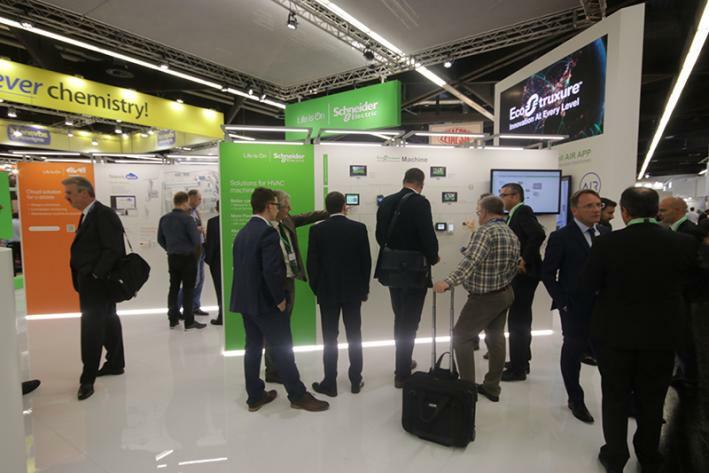 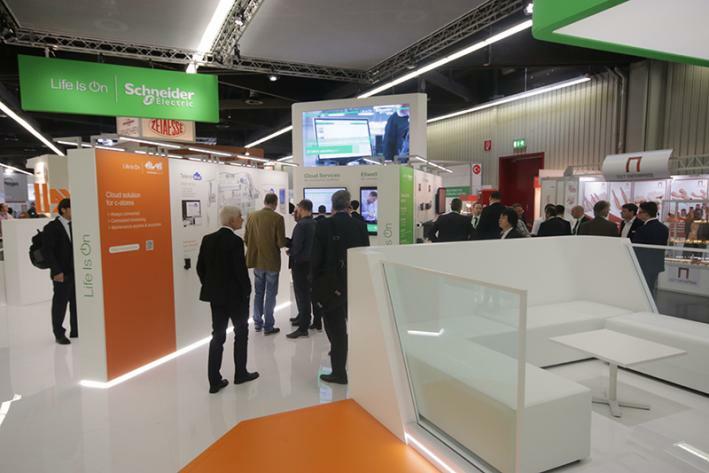 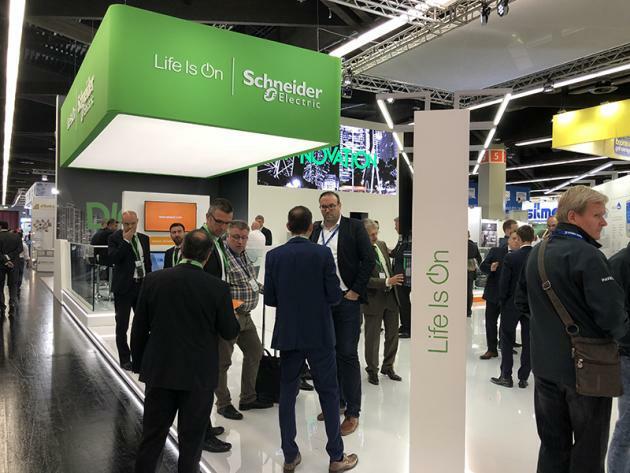 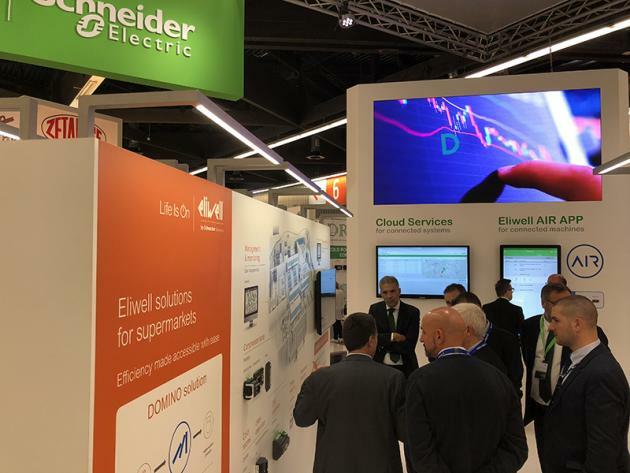 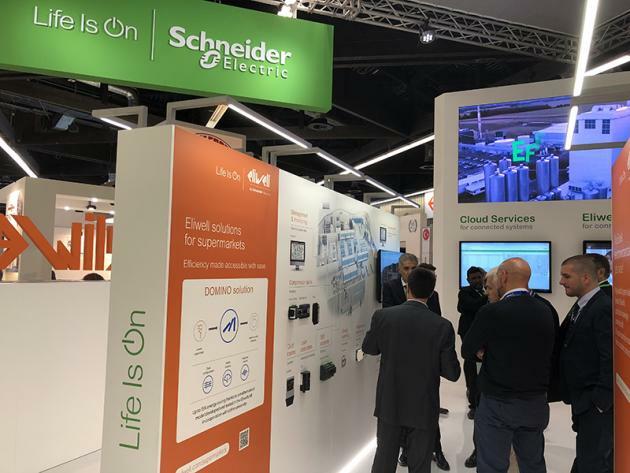 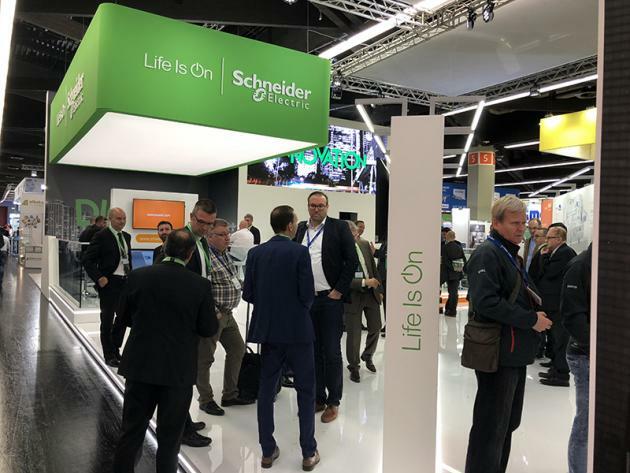 High connectivity and wider integration with the Schneider Electric EcoStruxure Machine Advisor as well as with third parties machines.